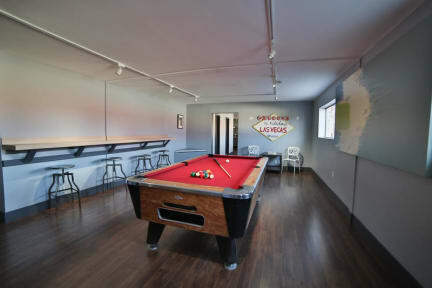 Las Vegas Hostel i Las Vegas, USA: Reservér nu! Nice location not too far from the Strip. Easy check in. Had the facilities we needed. Clean sheets, but the floor in our room was very dirty and they didn’t clean it while we were there for two nights. Would stay again.